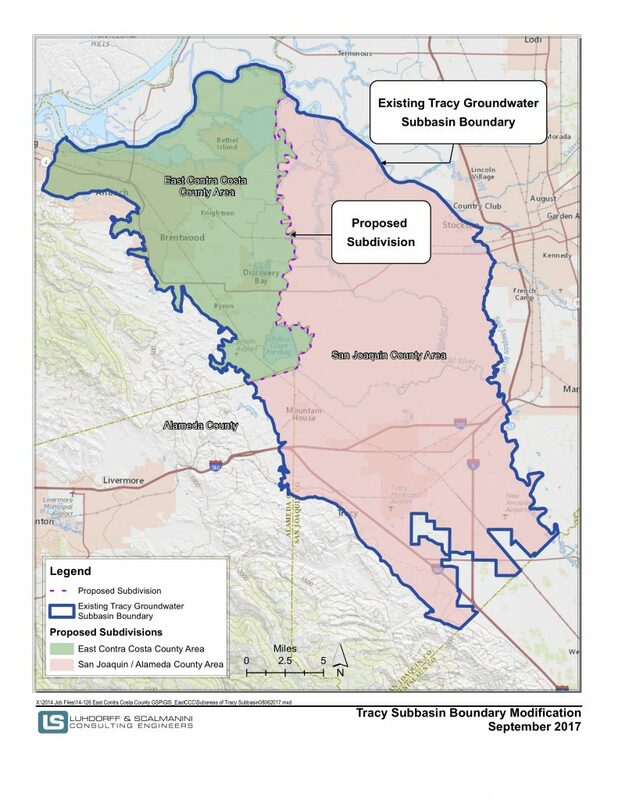 Sacramento, CA (December 3, 2018) – In a significant step toward maintaining local control over sustainable groundwater management in East Contra Costa County, the State tentatively approved a boundary modification request of the Tracy Subbasin. 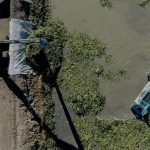 The request was made on behalf of eight local water providers, including the Byron-Bethany Irrigation District (BBID). Late last week, the California Department of Water Resources (DWR) issued a draft decision to approve it. In 2014, Governor Brown signed into law the Sustainable Groundwater Management Act (SGMA). It requires local agencies to cooperatively form long-term plans for groundwater management. 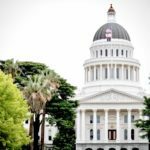 However, the way the law was initially written could potentially allow water users in Tracy and San Joaquin County to have undue influence over how groundwater is managed in East Contra Costa County. Local agencies, including BBID, sought to have the Tracy Subbasin subdivided along the Contra Costa and San Joaquin County line. The City of Brentwood filed the boundary modification request on behalf of the City of Antioch, BBID, Contra Costa County, Contra Costa Water District, Diablo Water District, Discovery Bay Community Services District, and East Contra Costa Irrigation District. The coalition of agencies also distributed a letter to water users, soliciting input and explaining the reasoning behind the request. Once the state’s draft approval decision becomes final, BBID’s service area will overlap two subbasins: the new East Contra Costa County Subbasin, and the remaining Tracy Subbasin. 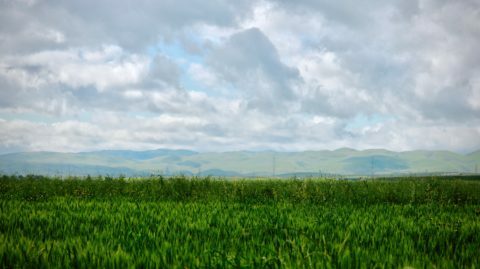 There, BBID is partnering with the West Side Irrigation District, Banta Carbona Irrigation District, the City of Tracy, and the San Luis and Delta-Mendota Water Authority to develop a plan for sustainable groundwater management. BBID continues to work to meet upcoming SGMA requirements, including the development of a groundwater sustainability plan (GSP) in basins and subbasins classified by the state as medium or high priority. GSPs must be completed by January of 2022. The District previously acted to become a groundwater sustainability agency (GSA) following a public hearing in March 2017, ensuring the District will play an active role in groundwater management in its service area the surrounding region. Click here to learn more about SGMA.